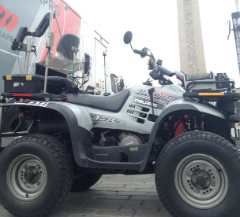 ACTA Medya: HD DSNG production Istanbul Marathon. Istanbul, Turkey, 20th November 2013: ACTA Medya, in co-operation with Media Pro/Media Luso, were responsible for the broadcast production of the 35th inter-continental Istanbul Marathon held at the weekend. 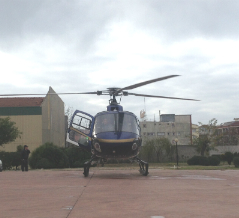 During the production, transmitted by TRT HD and TRT Sport, 3 helicopters, 2 cineflex cameras, 1 quad bike, 2 motorcycle cameras and wireless RF systems were used. One HD DSNG located in Gulhane Park was used as a production room, and one teleobjective camera was placed in the studio to cover the Bosphorus and Eminonu region. While the excitement of the marathon and the beautiful scenes of Istanbul were reflected on TV during the 3,5 hours production, a team of 20 from Media Pro took part in the production along with the Acta Medya team. 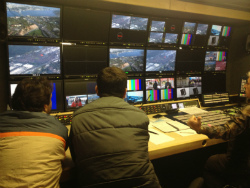 ACTA Medya had provided the broadcast infrastructure for the Marathon in 2012 which was in HD qulity for the first time.